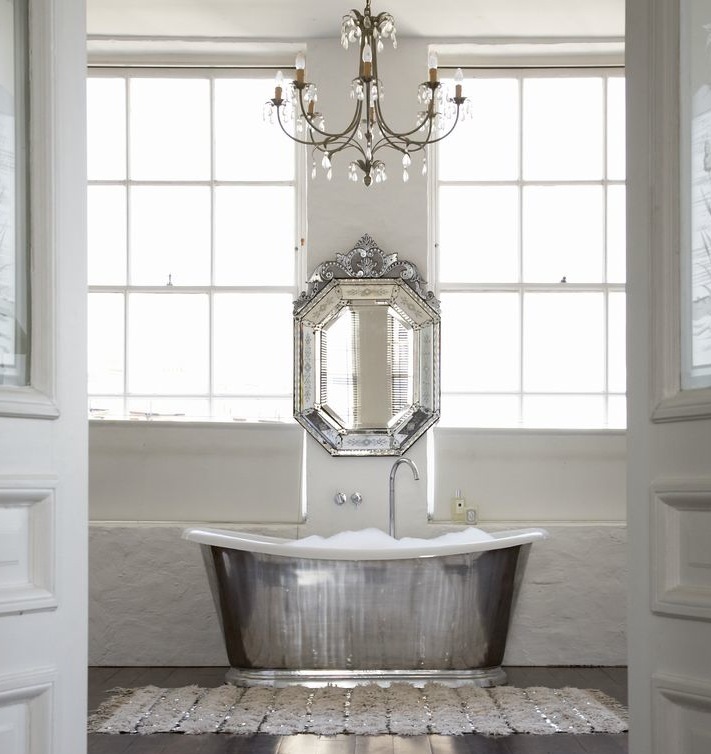 There’s nothing like the feeling of stepping through the door and seeing a stunning bathroom. Whether you’re taking your time getting ready in the morning or running to the bathtub after a long day at work, creating a luxury bathroom on a budget will give you a special place that feels like your own personal spa. If you’re looking for ways to update this part of your home, there are simple and easy ways to do it without breaking the bank. These changes can completely change your entire look! After all, this room gets a lot of traffic in the home and deserves to be treated well. You’re entitled to a glorious bathroom that makes you feel pampered each time you enter. Do you feel like your bathroom could use some rejuvenation? One of the easiest ways to dramatically re-invent this room is to completely change the color palette. If you’ve always been surrounded by powder pink walls, go for something darker like a sensual deep blue hue. 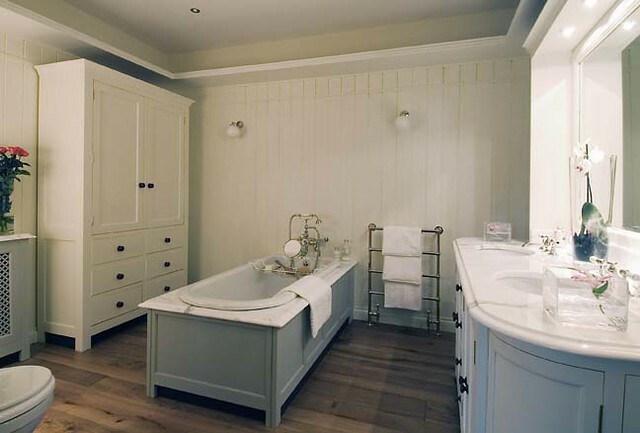 If you’re used to darker colors in the bathroom, try out a neutral color like a light clean grey or eggshell white. This will give you a new perspective and instantly inspire you to imagine more decorating possibilities, like changing the shower curtains to a more calming color or getting a cushy bathmat for the shower. You look in your mirror every single day. Why not get a mirror that you absolutely adore? The bathroom mirror has the ability to give off a strong impression to anyone who sees it. Take your humdrum mirror and replace it with something gorgeous. Replace an ordinary square mirror with a pretty circular mirror. Do you love starburst mirrors? They’re not just for living rooms and bedrooms. Place one above the sink and you’re sure to get compliments. You can also take a long mirror and unexpectedly turn it sideways along the wall for a more sophisticated look. There’s something remarkable about a bathroom that smells refreshing when you walk in, isn’t it? Whether you’re freshening up or stepping into the shower, the aroma surrounds you and leaves a lasting impression on your senses. This respite is exactly what you need before you go back into the world! To make a room that smells just as beautiful as it looks, place scented candles on the ledge beside the sink. If you have a small table in the room, put a large candle there as well. If you love floral scents, try lavender or rose. If you enjoy fruity scents, try tangerine or apple. There isn’t a ton of space in the bathroom like there is in other rooms of the house. Although bathrooms pull some of the most weight in the home, there’s not a lot of real estate there. That doesn’t mean you can’t add in beautiful pieces! Make an impact on your guests and add in a luxury piece of furniture like a bathroom cabinet. As stated on this renovation website, one of the most popular trends in bathroom design these days is adding stylish pieces of furniture such as bathroom cabinets and vanities. These pieces will look great in your bathroom and they’ll store all of your items in one place. Have your bathroom towels seen their better days? You’re not alone! We tend to hang onto our towels a little too long. Take a look at your towels and see which ones you should retire and throw out. Get three or four more and choose a great color to go with your new color scheme. Navy and eggplant colors look great in a white bathroom. White towels go beautifully with a darker color scheme. Creating a new look for your bathroom that’s impressive and luxurious doesn’t have to cost a lot of money. You just need to know how to change up the look and what items to purchase. Figure out what you’d like to do and create the luxurious bathroom that you deserve!